Squirrel, Eastern Gray. One a typical medium gray and the other a black phase, but with a very unusual bright orange tail. 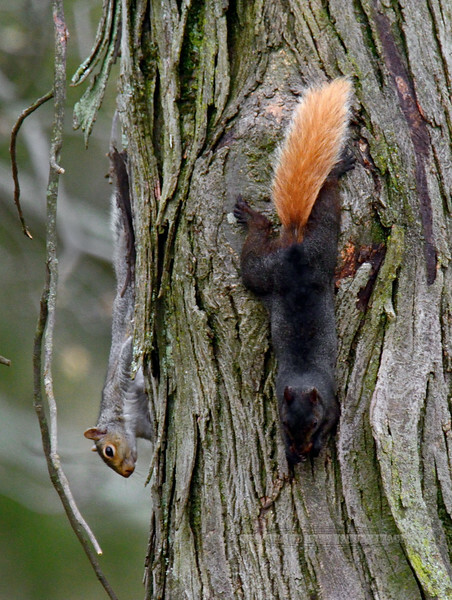 A small number of black phase squirrels are seen in this area, but all of the local people told me they never before saw a black phase with the bright orange tail color. Bucks County, Pennsylvania. #55.140. See Small Mammal Gallery for more color phase images.